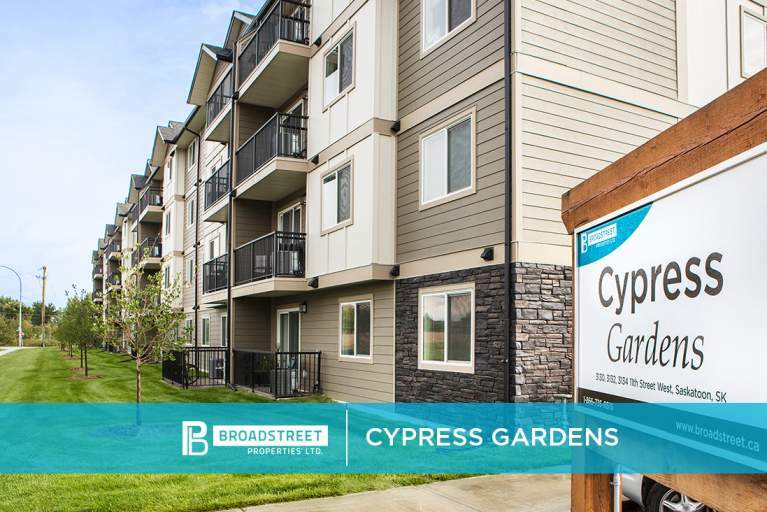 Broadstreet's Cypress Gardens offers 1, 2, and 3 bedroom pet friendly apartments in the charming historic neighbourhood of Montgomery Place in southwest Saskatoon. This modern apartment community is perfectly situated for families and recreational enthusiasts. In walking distance, you'll find plenty of greenspace, as well as Riversdale pool and the outdoor rink at Montgomery park. If you're a student, the University of Saskatchewan is just 15 minutes away. Inside your spacious, open-concept apartment, you'll feel at home with in-suite laundry and large closets. Your new home is also within 10 minutes to the Shaw Centre and downtown! From this location, you can make your way to the Hamm Fitness Centre or take the entire family to master a new dish in a cooking class at the Cosmo Civic Centre. At Cypress Gardens, you can take part in some of the best apartment-style living in Saskatoon. All our parking stalls are powered, numbered, and assigned. One parking stall per suite is included, additional stalls may be rented at $60/per month and are subject to availability. You will receive a hang tag to be placed on your rear-view mirror or a pass to be placed on your dashboard. Overnight guest vehicles can be registered and parked in designated visitor stalls with visitor passes displayed. Please contact our Rental Centre or 24/7 client support team for visitor passes.